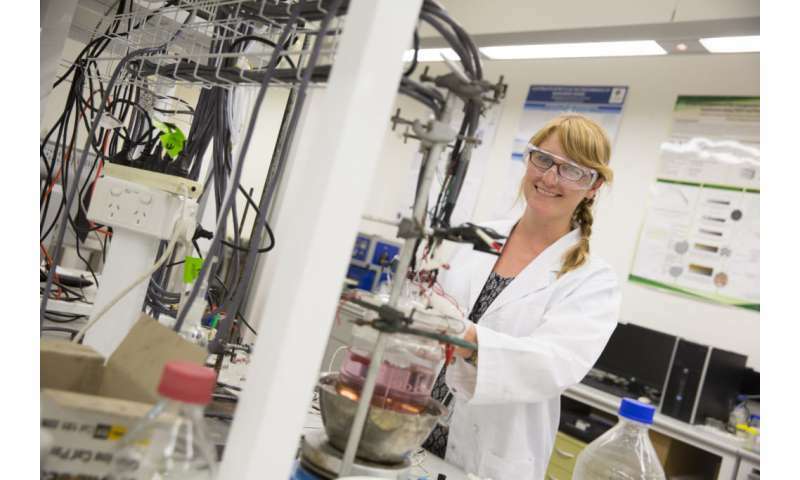 "As we move more and more to renewable sources of energy we're going to need a lot of batteries to store energy, and manage the variability of the sun and the wind," says Dr Jessica Allen, who is part of the research team. "We need to think about where materials for these batteries will come from, and look for more sustainable alternatives." "This method allows us to make carbon which is even better at storing electrical energy than the mined graphite," says Jessica, "which enhances the performance and stability of the final batteries we produce." "This is just one example of how solar manufacturing could be a game changer for Australian industry, and allow us to export of high-value products derived from our nation's biggest untapped resource—the sun."